here we go again, I reworked my gpgpu particle system which I did some time ago (link). 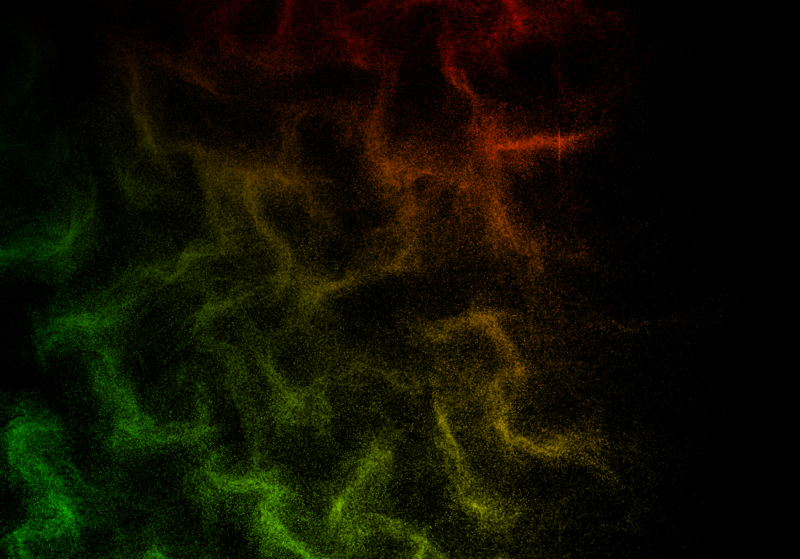 the new version offers a better particle movement driven by perlin noise. also it is a bit more colorful since the original version was black & white only. aside from some minor code tweaks the big thing is that you can grab a copy on github now! i’ve got some requests to share the code but never felt that it is good enough to give it to others (the new version might not be that better… ;-) ). i hope it will help people to learn something about gpgpu programming and OpenGL in general :-) at the moment I am also writing a “making of” to explain some of the nifty stuff a bit more, so check the blog the next days!